Infinity Media Middle East is a company whose main goal is to help Polish entrepreneurs considering spreading their activities to Gulf countries, including the United Arab Emirates. We realise the challenge that is before us when we take into consideration both the distance, as well as the cultural and language barrier. Our actions are aimed at overcoming those barriers on behalf of our Clients; thanks to us, the Emirates and other Gulf countries will become available to Polish entrepreneurs without the need to open a company office in a foreign country. You can count on our help. Our service can be divided into two main areas. The first is the business consulting area, widely understood support for the companies that wish to be present on the UAE and Gulf countries’ markets. In this area, we take up association of trade partners, organisation of b2b meetings and organisation of all kinds of trade and investment missions to Gulf countries. We help companies that are interested in Gulf markets and find strategic partners. We then become the local representatives of the companies’ interests and act on their behalf, leading to an increase in the number of transactions, as well as their value. The second area is connected to media, marketing and PR actions. In this area we maintain constant cooperation with Infinity Media Polska, a leading company in media actions in Europe and around the world. Infinity Media Polska is an independent media house that is involved in planning and buying all kinds of media from the Internet to the press, outdoor, radio, TV and ambient. We are able to design different types of campaigns, which, together with the appearance of the product or service, will appear in the minds of Gulf country consumers. 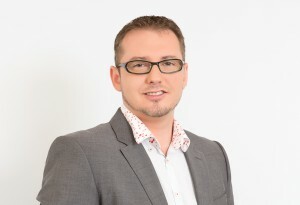 Maciej Białko has been living and working in the United Arab Emirates for 7 years. Previously he worked in the Republic of Ireland in banking administration (Bank of Scotland, Barclaycard International and Bank of Ireland). During his first four years in the Emirates he was an economic expert in the Embassy of Poland in Abu Dhabi. For the next three years he ran his own business and was the Official Representative of the Polish Information and Foreign Investment Agency in the United Arab Emirates. He carried out numerous trade and investment missions for Polish institutions supporting business development, and also directly for businesses. He was recommended by Deputy Minister of Economy Ilona Antoniszyn-Klik to become the managing director of the Trade Office in Dubai (which in the end was not established). He is a co-founder and managing director of Infinity Media Middle East FZ LLC, a company registered in the United Arab Emirates, whose mission is to facilitate the entry of Polish companies into the UAE and Gulf markets. Maciej Białko is a person with years of experience on the UAE market, not only in cooperation with government institutions but also with the world of business. 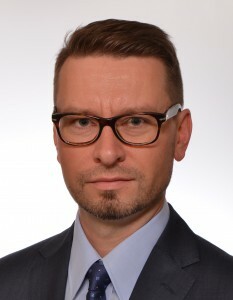 His biggest achievements include organizing Donald Tusk's visit in April 2012 (while working for the Embassy of Poland in Abu Dhabi) and creating a program for leading Polish companies during the official visit of President Bronisław Komorowski to the UAE in December 2013. As a result of many B2B meetings he organized, many Polish companies began selling their products in the UAE. Currently Infinity Middle East FZ LLC acts as a proxy of companies in many sectors, representing them locally. 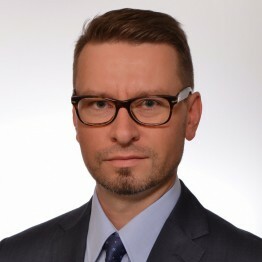 Maciej Białko manages a team of experts, who are prepared to assist Polish companies working in different business sectors. 20th April 2011, a visit of Undersecretary of State Jacek Najder to the UAE. The purpose of the visit was participation in the meeting between EU and GCC in Abu Dhabi. 21st - 23rd April 2012, a visit of Prime Minister Donald Tusk to the UAE, together with a government delegation and entrepreneurs. The visit included meetings with Prime Minister of United Arab Emirates, emir of Dubai Sheikh Mohammed bin Rashid Al Maktoum and Crown Prince of Abu Dhabi and Deputy Supreme Commander of UAE Armed Forces Sheikh Mohammed bin Zayed bin Sultan Al Nahyan. Economic Forum Poland - the UAE took place in Dubai. 30th April - 3rd May 2012, a visit of Undersecretary of State in the Ministry of Economy Andrzej Dycha and Vice President of Polish Information and Foreign Investment Agency Bożena Czaja together with a delegation of entrepreneurs in Annual Investment Meeting 2012 in Dubai. Minister Dycha met with Minister of Foreign Trade Sheikh Lubna bint Khalid Al-Qasimi and Undersecretary in the UAE Ministry of Economy Mohammed bin Abdul Aziz Al Shehi. May-November 2014: 8-month contract for the organization of four study tours for 16 journalists and entrepreneurs from the UAE in the food, infrastructure, industrial design and automotive sectors. Co-organization of the participation by the Polish Information and Foreign Investment Agency in Automechanika Middle East, Index Exhibition, BIG 5 and SIAL Middle East fairs. Kamil Wojciechowski is a chairman of the board of an independent media house Infinity Media Sp. z o.o. located in Warsaw, a chairman of Intelligent Decisions Training Company and shareholder of Infinity Media Middle East FZ LLC. He has been active in the media sector since 1994 and has over 18 years of experience in the media and consulting. 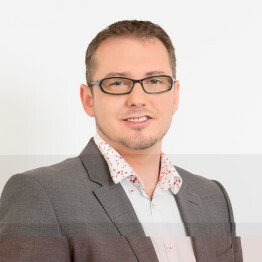 He was successful in acquiring and maintaining many key clients, including, among others: Canal+ Cyfrowy, POZNAŃ City Promotion Office, PolfaŁódź, Polfa Warszawa, Agata Meble. He is also an advisor to the Board of SAS Institute Poland and cooperates with, among others, PZU, LOT, Inteligo, PKO BP. Mr. Wojciechowski was a Managing Director of Sagal creative Agency, Marin Charter Proxy, Chairman of the Supervisory Board of RMC from the VIVA ART MUSIC group, among others. He is a co-initiator of marketing strategies for many companies. 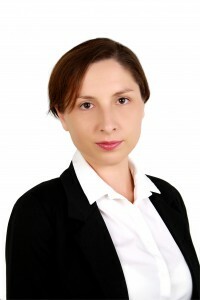 Malgorzata Baranska - started her marketing career in 2005, working in both agency and client-sides. Among others, she was working for the Swedish company Viasat World Ltd. where she was responsible for creating and implementing both marketing and PR strategies of the Viasat channels in the Polish market. 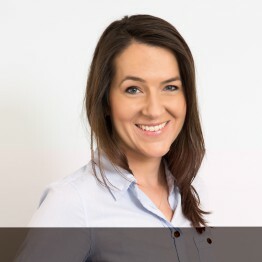 She also worked as Account Executive for Focus Media Group, where she was responsible for coordinating the BLT marketing activities of Raiffeisen Polbank S.A. Recently she joined Infinity Media Middle East as Marketing Manager. Weronika Tomaszewska-Collins acquired her professional experience in Great Britain and Canada. For several years, she has been living and working in United Arab Emirates. She is a versatile person, and received good education (Silesian University). 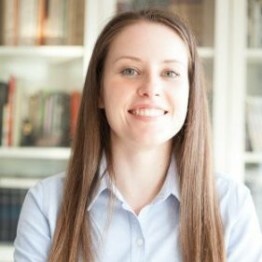 Mrs. Tomaszewska-Collins is a sworn translator and interpreter of English and Polish. She started her career at Kroll Background Screening which conducts background checks on prospective candidates seeking employment in Great Britain's financial sector. She has a lot of experience in English government administration, where she was a Customer Service Advisor in Reigate and Banstead Borough Council. 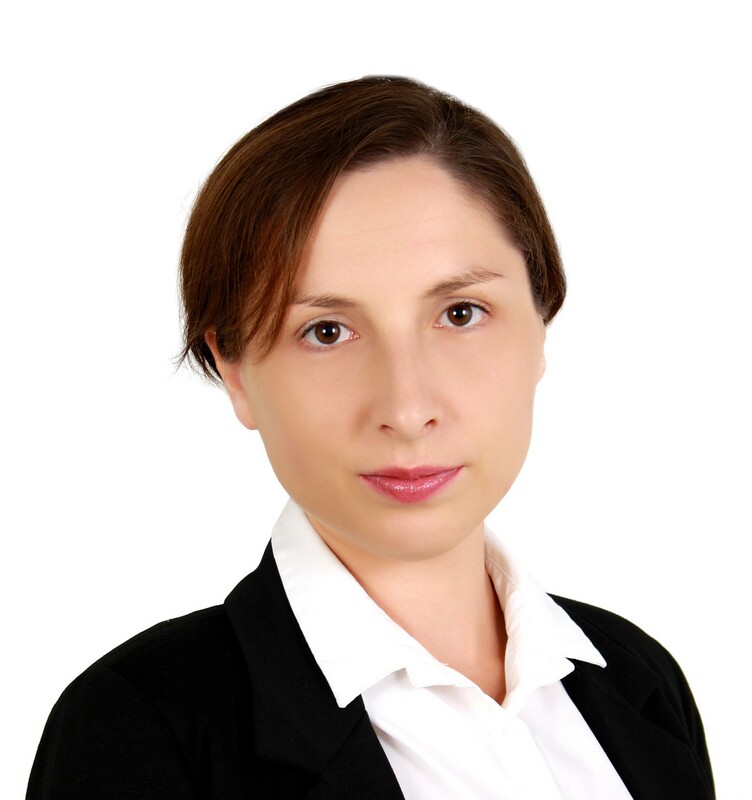 Since 2009 Weronika Tomaszewska-Collins has been managing her own business, where she acts as an interpreter and translator for private clients, companies and the public sector, including United Arab Emirates delegations. She was a part of the Polish delegation to the UAE, where she had an opportunity to assist high-ranking civil servants (including Minister of Agriculture and Rural Development, Deputy Minister of Education). She also took part in numerous press conferences with Emirate government representatives, including among others Minister of Environment and Water, Rashid Bin Fahad, PH.D., Vice President of Dubai Chamber of Commerce and Industry Abdul Rahman Saif Al Ghurair and Deputy Prime Minister Sheikh Mansour. 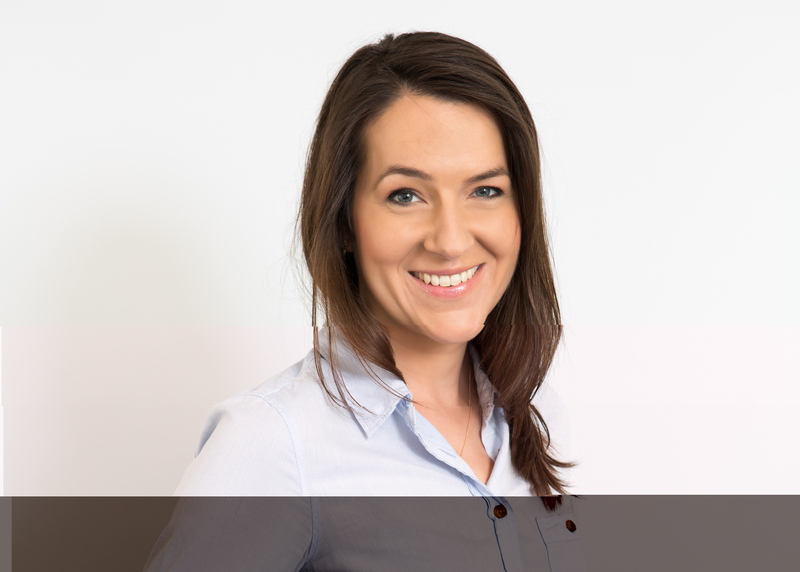 Joanna Czayka gained her professional experience in the sales department of international company ARBOmedia Polska (now Goldbach Media) as International Account Manager. Next she worked at the branch of Goldbach in London as International Sales Manager. After her return from London, she started working in Evolution Media Net as International Sales Manager. Since June 2015, she has been employed at Infinity Media, where she is a co-creator of international strategy. At the moment we have no job vacancies. If you are interested in working for our company, please contact us.